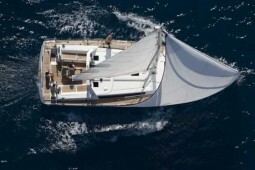 Indeed, sailing boats are synonymous with freedom and adventure, and offer a unique sailing experience. However, you must make sure you have the proper sailing licence for the boat you’ve selected. In some countries, licences are given according to the length overall of the boat while in others, it depends on the amount of miles you will cover. We will give you a consultation so that you choose the boat model and type that best suit your experience and your preferences based on your destination. This option gives you more freedom to organise our own itinerary and design a personalised program based on the preferences and needs of the group. In any case, keep in mind that the itinerary is ultimately subject to the weather conditions for the week of the charter. At least one person must have the proper licence in order to navigate the sailing boat charter. This person will assume the role of skipper and will be responsible for the group and the vessel. It is also the responsibility of the skipper to know how the chartered vessel operates; therefore, he must pay the utmost attention to the instructions given at the time of check-in. In order to charter a sailing boat, you must leave a security deposit which is normally paid in cash; however, in some cases, you may leave your credit card number. The security deposit is returned in full when the boat is returned if no damages have been detected. If a problem is found, the security deposit will be withheld until the damages to the sailing boat and the cost of repairs are determined. If the cost of repairs is less than the sum of the security deposit, the difference will be returned. If the cost is higher, the maximum amount charged will be the sum of the security deposit.